A few days ago, my Twitter followers may be been slightly mystified by my Tweets about finding hidden treasures in Baltimore. I had the inestimable pleasure of seeing a private collection of clocks, mechanical musical instruments, old fans, lamps, and more... all very rare and very interesting. The tower clock collection was particularly impressive. 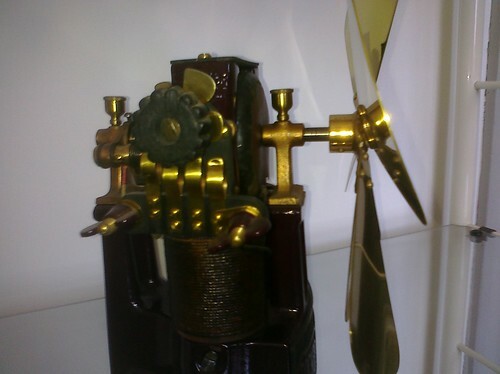 The house was fitted with several tower clock dials on the outside. I've gone down that street many years and never looked up to notice them. There is even a dragon outside that strikes a bell with his tail. 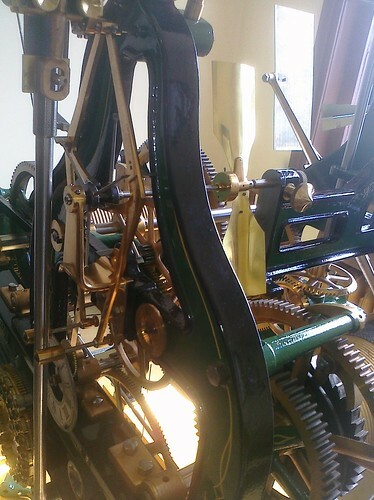 On the inside, there were some large tower clock movements (like the one pictured above) with slots cut in the floor below them so that the pendulum could swing in the room below. 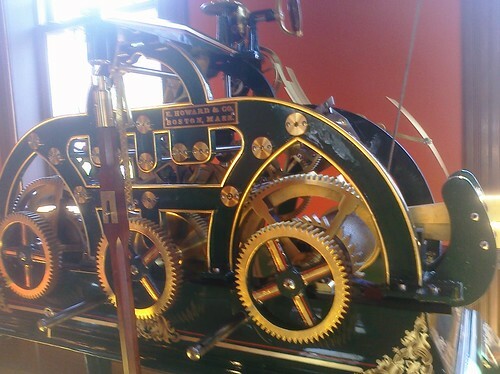 I did a reblog post a few weeks ago from a Steampunk site about old tower clock towers being converted into apartments - but those places didn't have clocks in them. 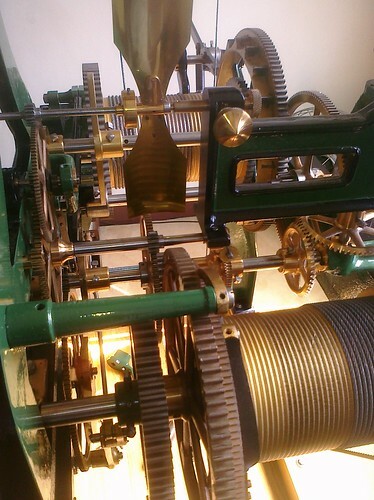 There were several tower clocks, most with 3-legged gravity escapements. The whole house seemed to tick away, as if the collector were living inside a giant engine room. The place isn't called Orchestrion Hall for nothing. The collector is a worldwide authority on mechanical organ restoration, particularly the very rare and very excellent Welte orchestrions. 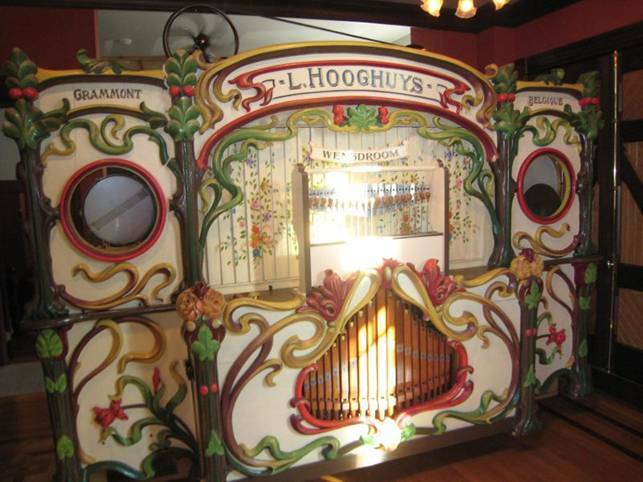 He has more mechanical musical instruments too, including a very loud band organ. His shop is in the basement below, and he uses all turn-of-the-century, belt-driven machines. When I jokingly asked where the steam engine was he pointed to an original early electric motor, and around the corner (in the basement) there was a HUGE single-cylinder Diesel engine. 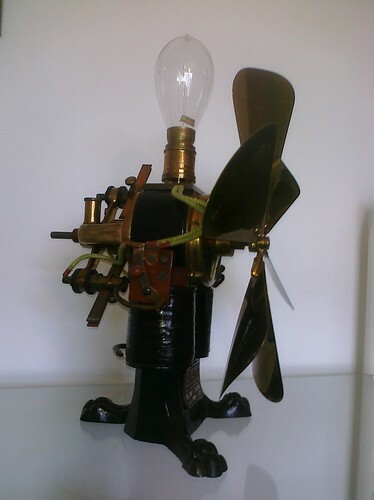 This one has a light bulb that's used only for impedance, to slow down the fan. I wish I had more pictures. 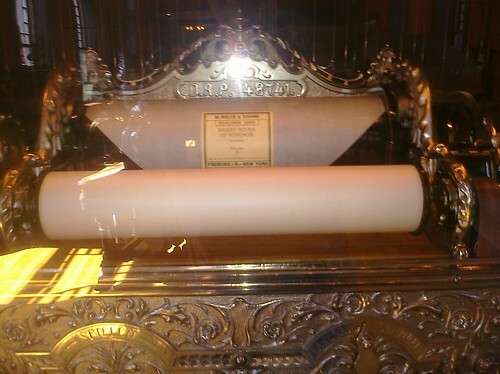 This place was a treasure trove of fascinating stuff! 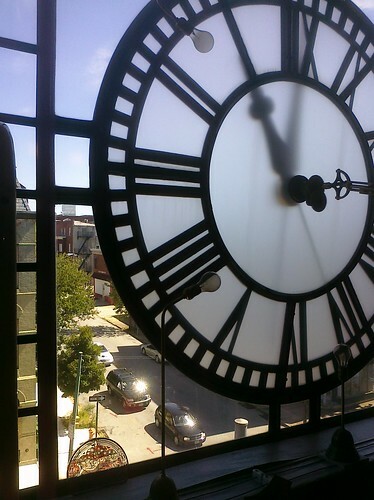 Thanks to Arcadian Clock for some of the pictures above. It was a truly exciting afternoon. I realized as I wrote up this post that I didn't take nearly enough pictures. 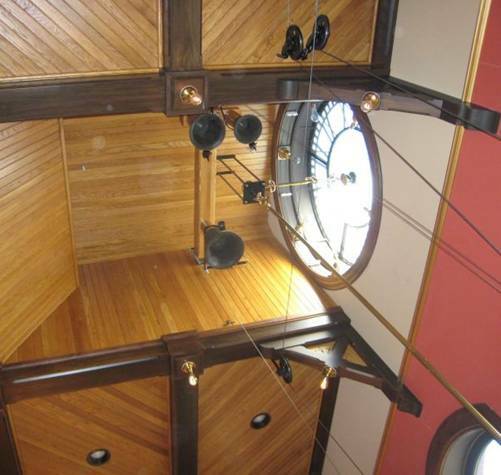 Many of the tower clocks had slots cut in the floor so that the pendulum swung in the room below, like next to the dining room chandelier or in the master bedroom, for example. This was interior design like no other. Also worth mentioning is the fact that this wasn't always in the safest of neighborhoods. It's amazing what you don't know exists in the unlikeliness of places. 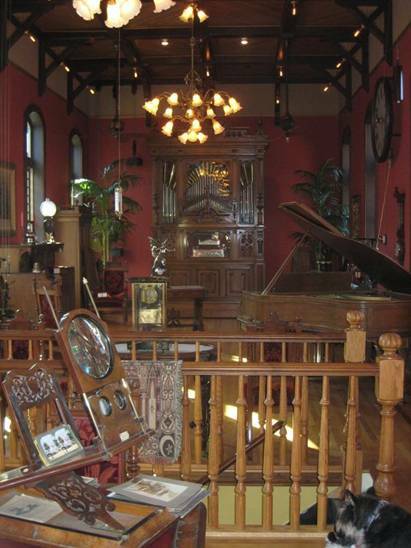 Behind the drug dealers and prostitutes there might be a museum of turn-of-the-Century wonders.